CosplaySky is an online costume retail company that specializes in selling costumes to cosplayers. They carry garb in anything from anime to Star Wars, including props, shoes, and even wigs. CosplaySky sent me my Supergirl cosplay to review, which you can see in full on my YouTube channel: Supergirl CosplaySky Review. The top fits great, and the cape is the perfect length. It’s very comfortable and form-fitting. There is amazing attention to detail. The cape snaps right on. The velcro skirt is questionable and makes the skirt less adjustable. The shirt comes un-tucked from occasionally if the skirt isn’t tight enough. It doesn’t come with the boots. If you’ve been thinking about purchasing cosplays from any other companies, but can’t find any reviews, let me know in the comments below and I’ll do some digging for you! 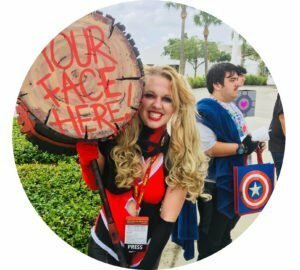 CosplaySky is also giving Cosplay and Coffee viewers a 10% Discount Code! Just enter the code COSPLAYCOFFEE‘ when you checkout! 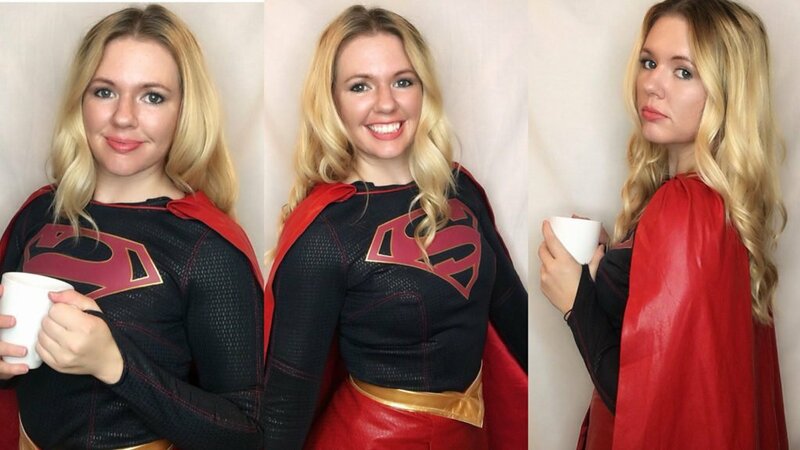 I give CosplaySky 4/5 steaming cups of coffee per our rating system for providing an excellent option for a Supergirl cosplay! Check out these other 16 Supergirl Cosplayers That You Need In Your Life!